Small Shop Feature || Wild Plum & Co.
Today we have a lovely interview with Cassie of Wild Plum and Co. Cassie and I attended the same high school, so we have known each other for several years now. When I saw her open up Wild Plum and Co. I was instantly drawn to her beautiful woven wall hangings and knew I wanted to purchase one. I fell in love with this particular wall hanging and knew it would be the perfect additional to our play room. 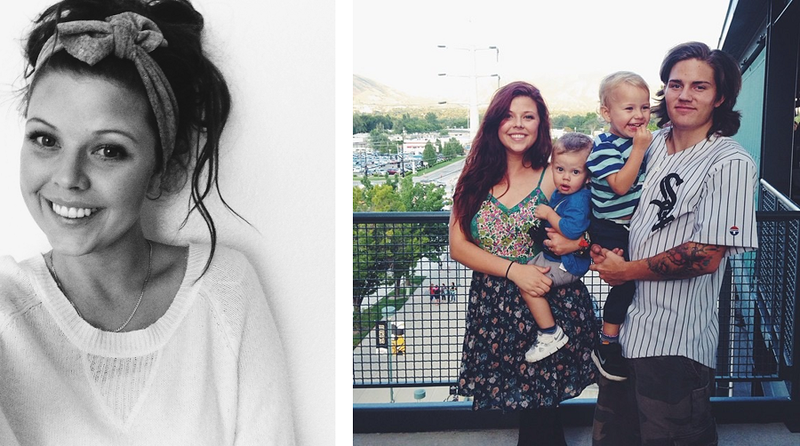 Cassie is a devoted wife and mama of two little boys. She’s such a sweet girl and I know you guys are going to love her. Tell us a little about yourself and your adorable family. o Well, I just turned 23 in late September and then five days later celebrated my 2nd anniversary with my husband, Landen. We have two handsome little gents Sasuke, who will be 3 soon, and Noah, who is just over 18 months old. I have been fortunate enough to be a stay at home Mama for a little over a year now. Soaking up the cuddles, kisses and memories while being with them all day. This quote sums it up nicely “the days are long but the years are flying by.” That is so true! We live in an apartment with us 4 and our Saint Bernard Biggie. Landen makes ammunition and is also going to school and almost has his bachelor’s degree in accounting. Sasuke is recently potty trained, so trying to keep clothes on him is near impossible. Most of the time you can find him playing with his cars. Noah is such a flirt! He is very social and is just starting to talk. 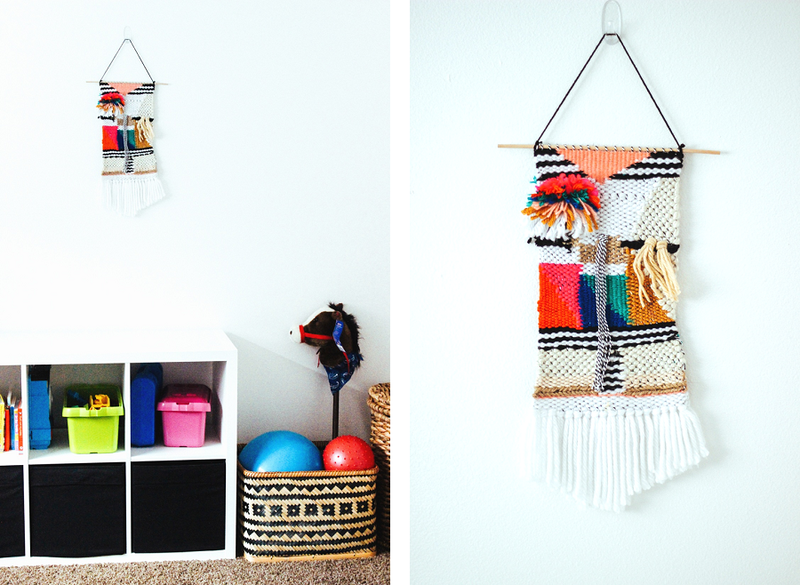 What’s the story behind the gorgeous wall hangings you make? o I have only started about 2 months ago. . It started out I stumbled across one of @chiefandkewpie weaves and was like OH. MY. GOSH. what is that amazing, beautiful, unique piece?! 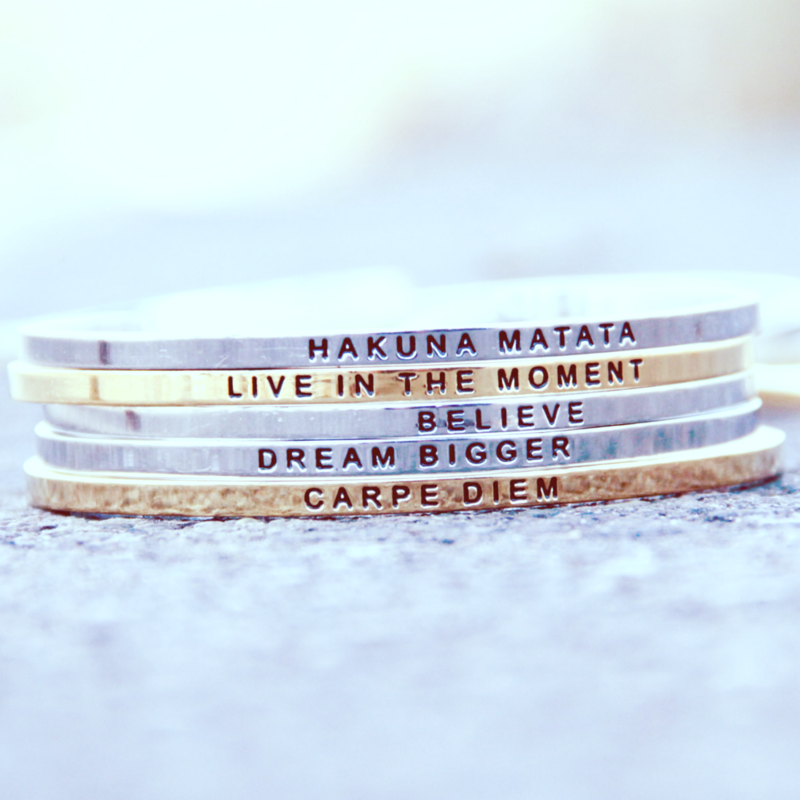 I have to have one! I didn’t even know what they were at the time, just that I loved them so much. The textures and colors were so appealing to me. I began searching Pinterest and Etsy for all different sorts of weaves, and found so many that I loved! I wanted to own one and pridefully hang one on my wall! Although, the price was far out of my range, I kept showing them to my husband all the time. Landen is a real entrepreneur, so his thought process is more business oriented then my crazy mind. So Landen one day finally said, “Well, why don’t YOU just start making them?” It had never crossed my mind! I said, “Yeah, why don’t I start making them? !” I got really excited! We ordered a loom right away, and went and purchased some yarn. That’s how I got started making weaves! 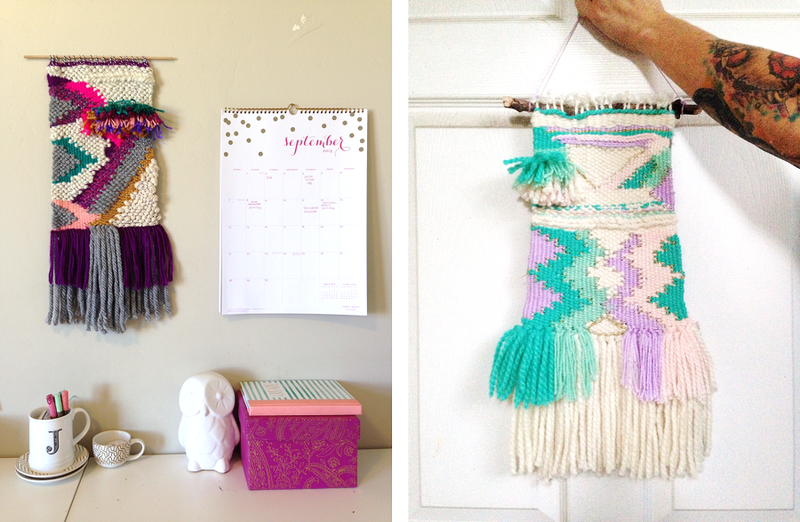 Where do you draw inspiration for your weave wall hangings? I absolutely love that each and every one is so creative and unique. o That is what’s so fun to me about all this weaving. You can seek inspiration from anything, paintings, clothes, color pallets, different patterns. Each piece is so unique! I love being able to express my style through art. I love art, although I haven’t ever been a painter, or been able to draw, in that artistic expression. This is something I feel I can really excel in because I can combine colors, textures and different techniques to create something magical. I like to make unique pieces that fit my style. I am so happy, and quite thrilled that others enjoy what I make as much as I do. After I complete each one, I stitch the loose ends and attach it to an unique piece of wood. After completing each unique I feel proud and accomplished! I made this with my own hands. A few inspirational weavers I admire and look up to in the instagram world are @chiefandkewpie (goddess of weaves) and also @artsyjes. @artsyjes also tends to be more colorful in her weaves and I am the same way. I try to be more neutral but it just doesn’t happen! 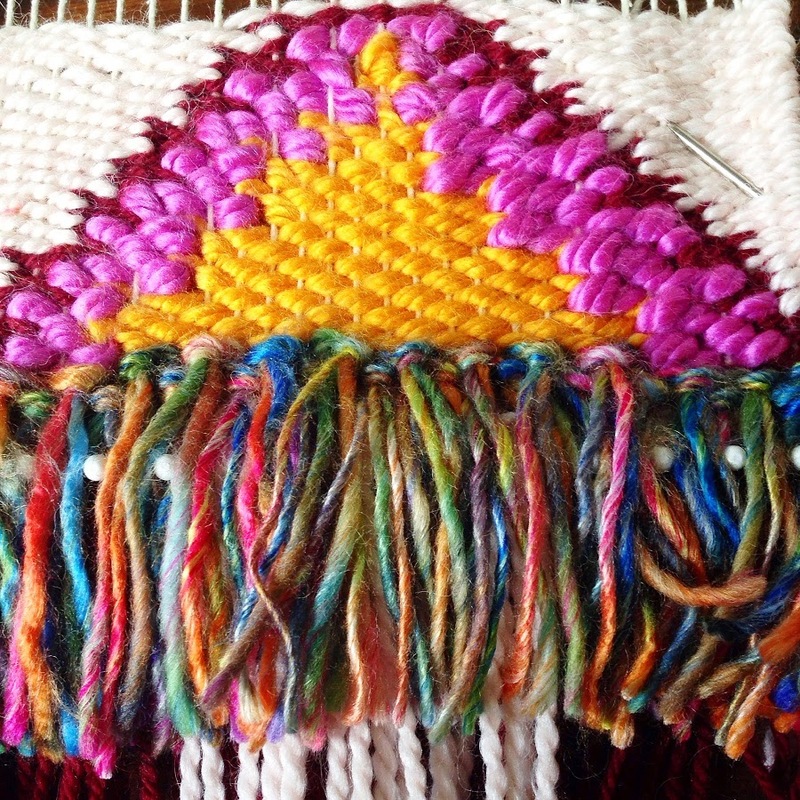 When you are not busy weaving, what can you be found doing? o Like I mentioned earlier, I have two little boys. Might I mention they are only 15 months apart! And well, they are also toddlers! That's my main job, it certainly keeps me busy. 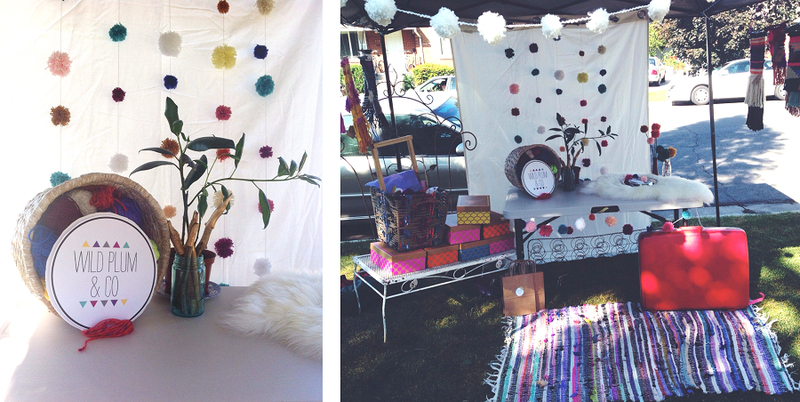 As a mama, how do you find time to balance weaving while running after two little boys? Any tips? o I can weave during nap time, or after we put them to bed for the night. If I try to do it while they are both awake, there is yarn EVERYWHERE. Tangled up in bikes, chasing each other around with it, tying each other up in yarn. It just better for my sanity that I work while they sleep. My tip would be: To remember nothing is more important than your children, let them be little, you can always work on other things later. They are growing so fast you don't want to miss anything! Do you have any advice for aspiring small business owners? o If you love what you are doing DONT STOP. If you want to do it, you will find the time and the means to do it. Who doesn't love doing what you love to and making some money doing it! See, isn't she adorable? I can't get enough of her, the wall hangings, and her adorable family. Don’t forget to follow Cassie along at @wildplumco on Instagram to check out her latest wall hangings and flash sales.